Happy (Chinese) new year everyone. It feels like a war zone here. 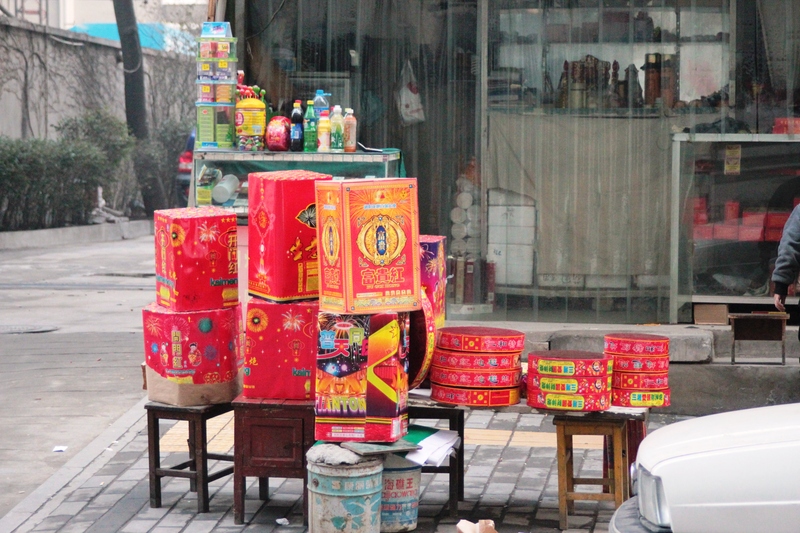 We’ve been hearing non-stop firecrackers for the past few days. The noise that fireworks make is meant to scare away evil spirits and so guarantee a prosperous new year. Fireworks view from our gate. We went out to see the fireworks last night. 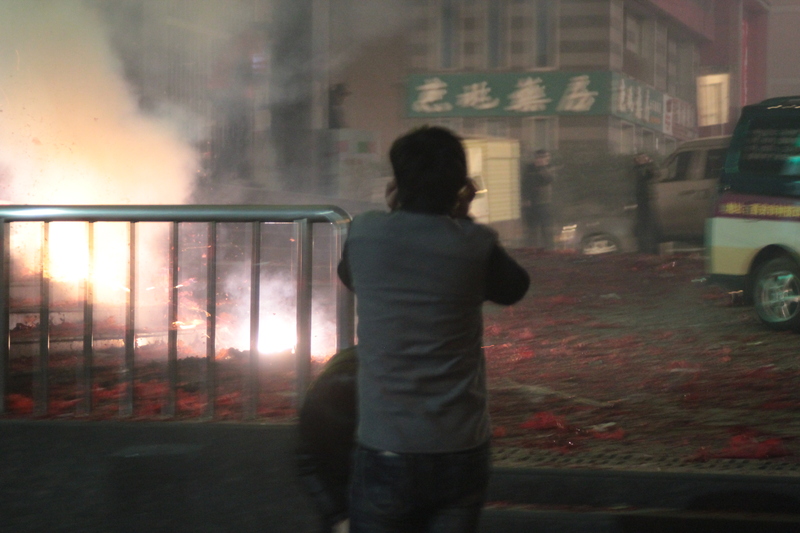 People gather outside the apartment buildings to light their firecrackers. We saw a number of people lighting firecrackers and then walking away from them, back to their house, without even looking at what they lit. A lot of people were outside by themselves, lighting fireworks. 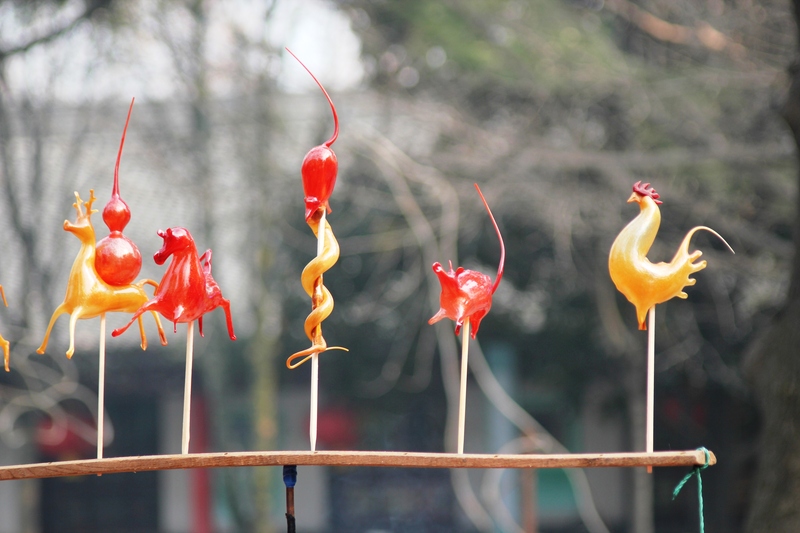 A lot of the older Chinese were lighting little individual fires by the road side. 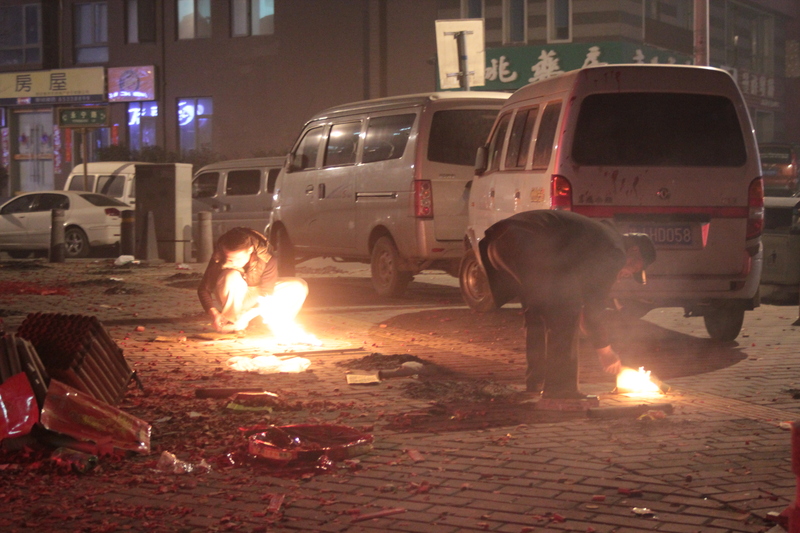 Chinese men lighting fires in the street. As soon as the clocks hit midnight the whole place went up in a bang. It was really bizarre – I had never been so close to so many fireworks. The fireworks went up and the residue fell on our heads. People just stood there blocking their ears with their fingers. Another strange thing I noticed was that nobody wished each other happy new year when the new year actually arrived. Everyone’s attention was solely on the fireworks. 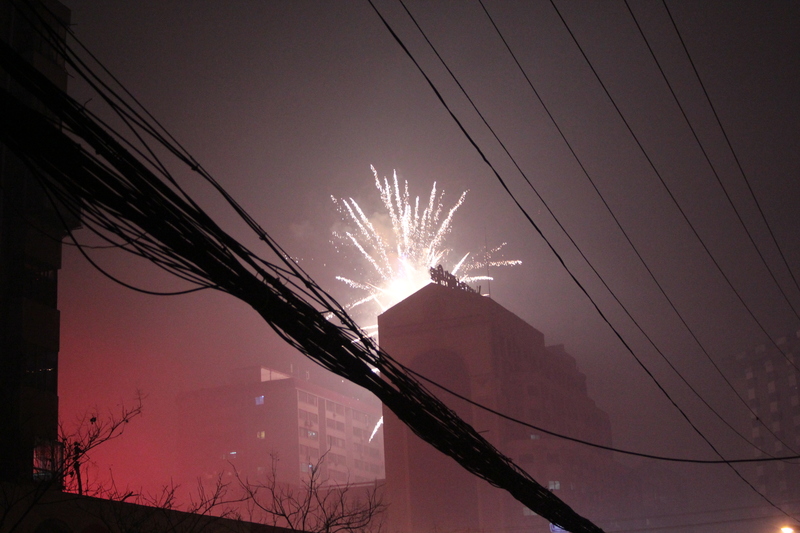 Fireworks and a wonderful example of Chinese wiring. Safety what?? 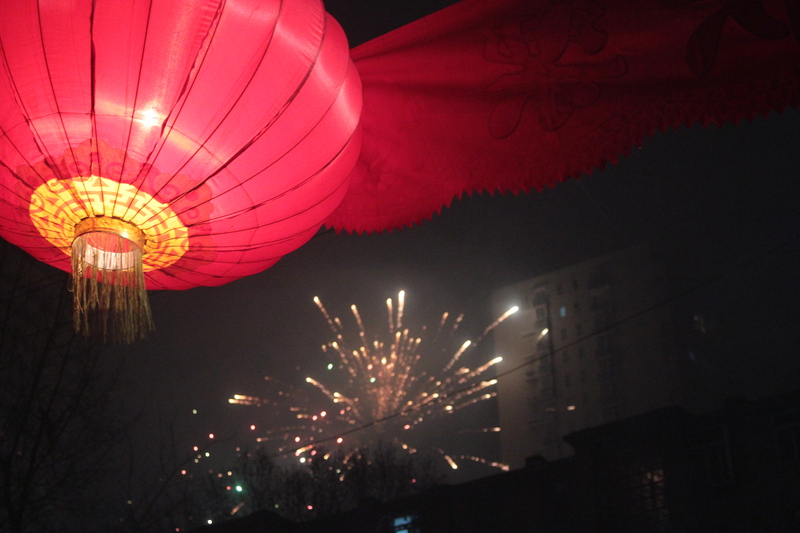 The fireworks were banned during the Cultural Revolution as they were considered bourgeois, so now people are crazy about them and light them everywhere all the time. 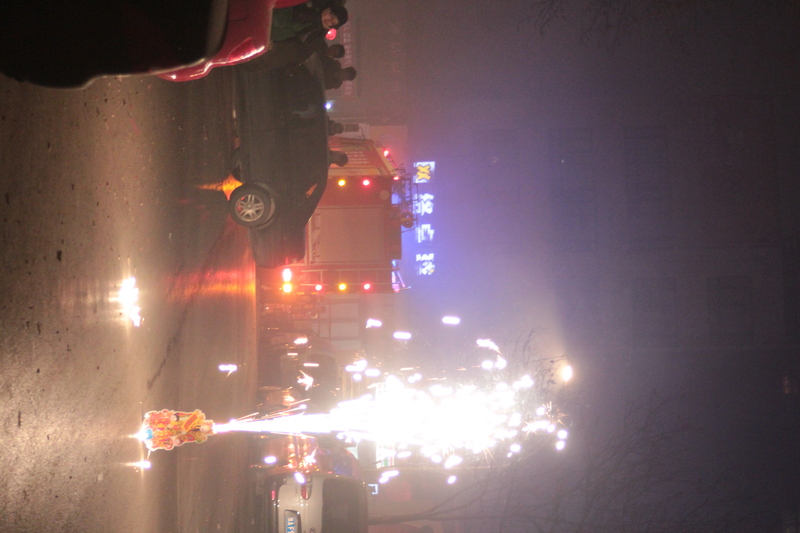 There is nothing like fire safety as the crackers are lit in the middle of roads, in hallways, on sidewalks, anywhere really. The food vendors have packed up and have been replaced by fireworks vendors for the past few days. I was happy to see a couple fire engines hovering around, just in case. Fireworks in the middle of the road, a car trying to get past and a fire engine on stand by. A vendor selling everything and anything that goes bang. 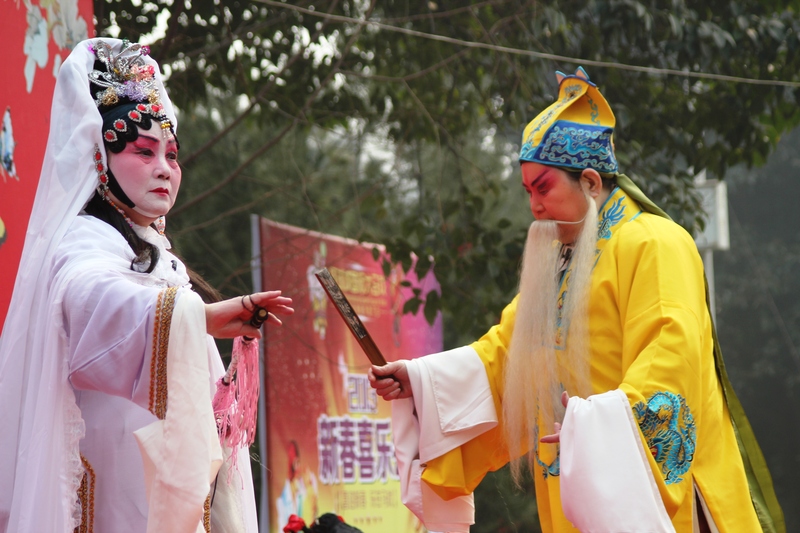 In the new year’s eve Chinese people stay at home with their family and watch the TV gala, which is littered with Chinese and Western celebrities. They booked Celine Dion for this year, but had to cancel her in the last minute as Xi Jinping warned them to keep the costs down. We watched some of it, but didn’t understand much unfortunately. This morning they showed some clips from Russian new year’s celebration. Dima Bilan and Alla Pugatšova were there, so I told David all about these very important people. The first day of the new year (today) is also spent with family. 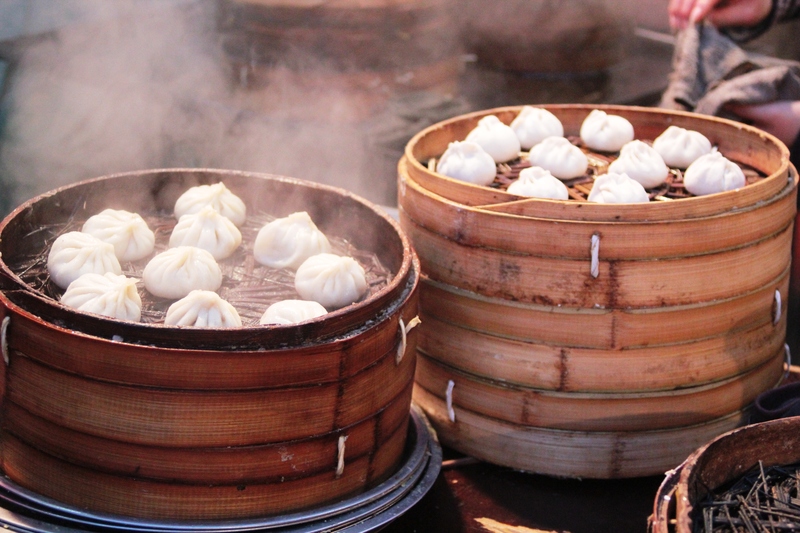 People in Shaanxi (our province) eat dumplings, visit the parks and give little gifts of fruit, sweets and money to close friends and family. 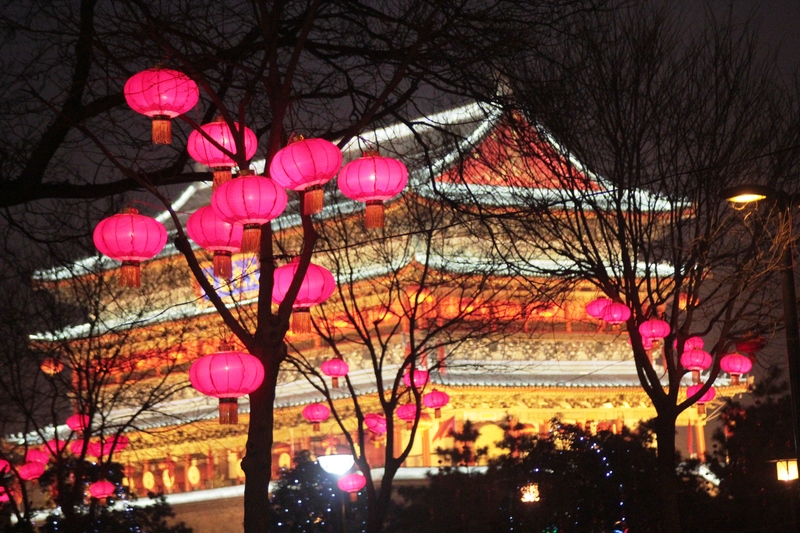 There are no dragon dances or parades in Xi’an. Those take place in the usual tourist areas and more coastal cities. 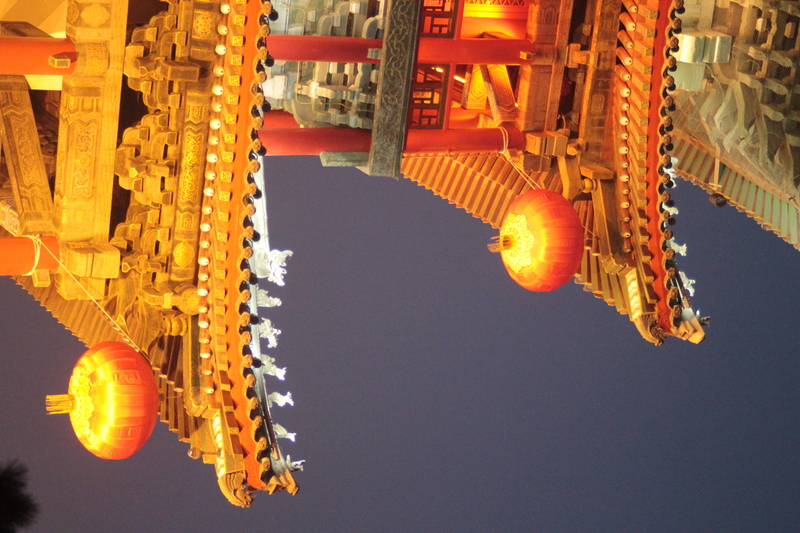 David and I went to get some dumplings by the Drum Tower, which looked beautiful in the evening. 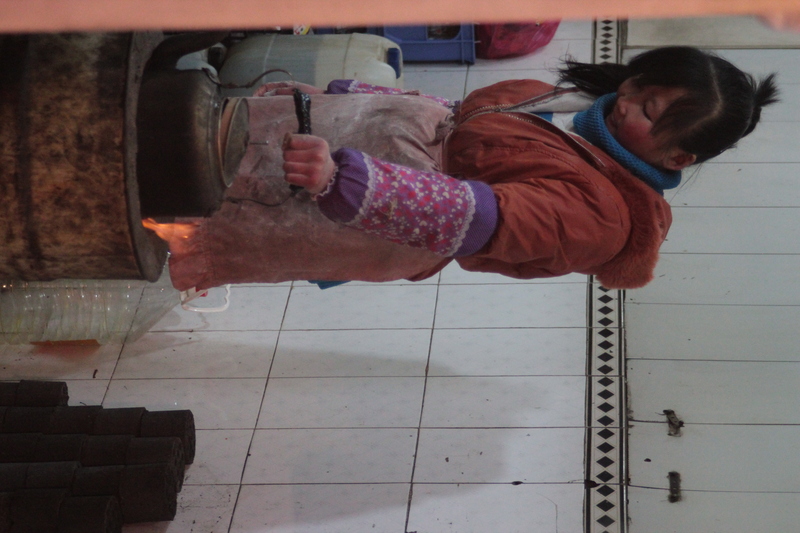 A lady warming up water for steaming dumplings. 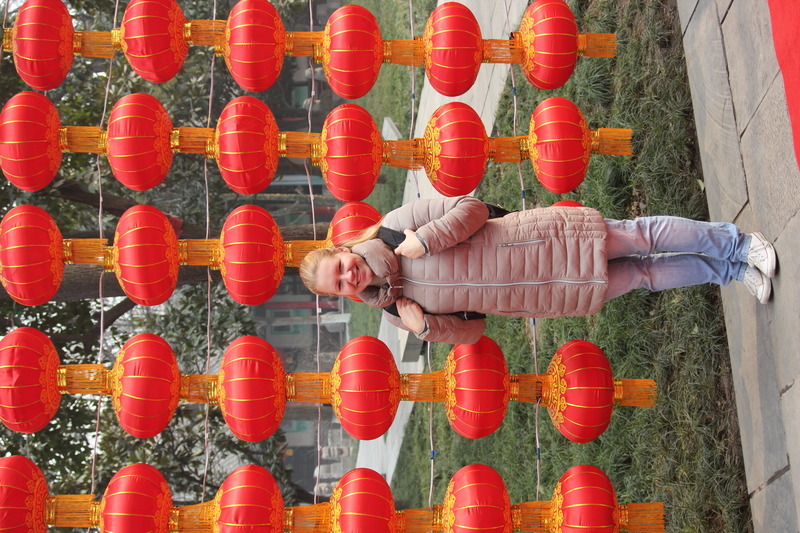 We finally had the time to do some touristy things in Xi’an today. We went to see the Small Wild Goose Pagoda, which was used to house the sutras brought back from India in something like 700 AD. The Pagoda is in a big park surrounded by temples and lakes. Lots of families were out today lighting their candles at the temple, enjoying some food, music and Chinese theatre. 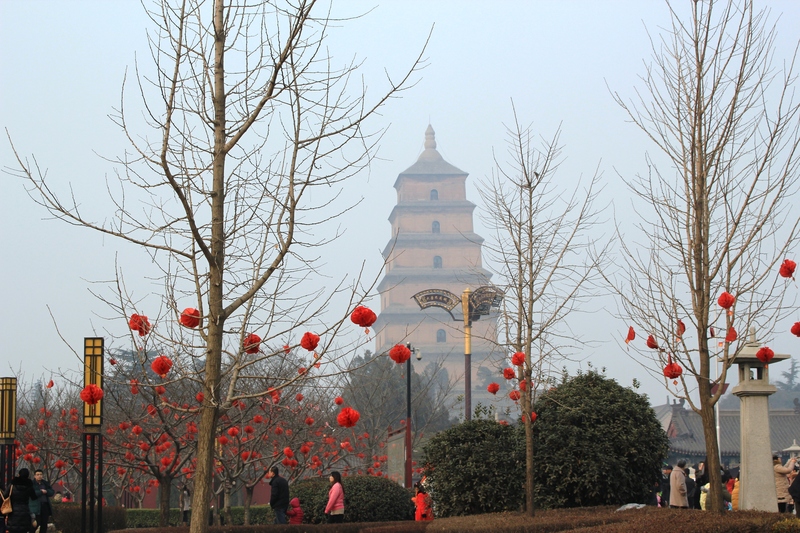 The Small Wild Goose Pagoda. 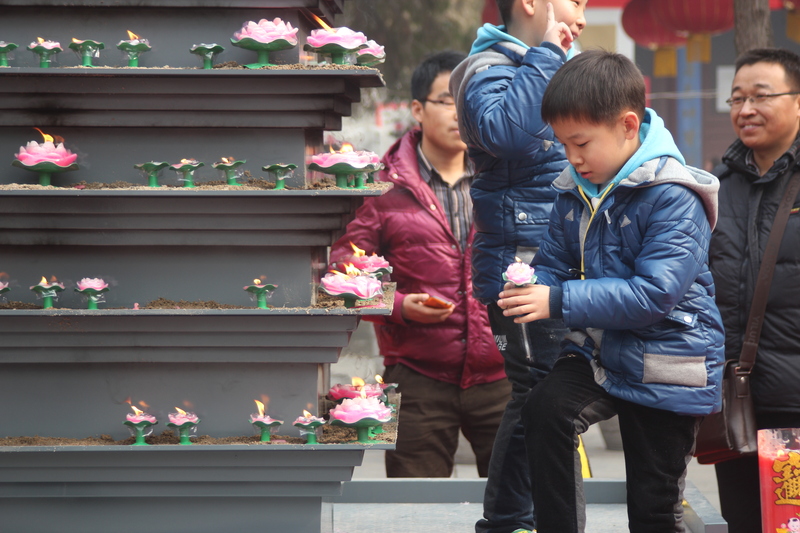 A little boy lighting a candle at the temple. 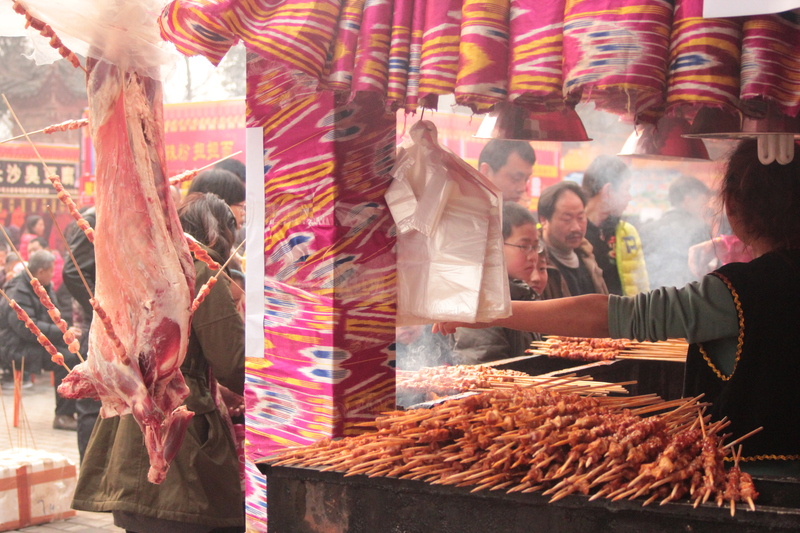 Chinese Muslim food from people in the West of China. Sweets made of sugar. Kukekujuline kukekomm. 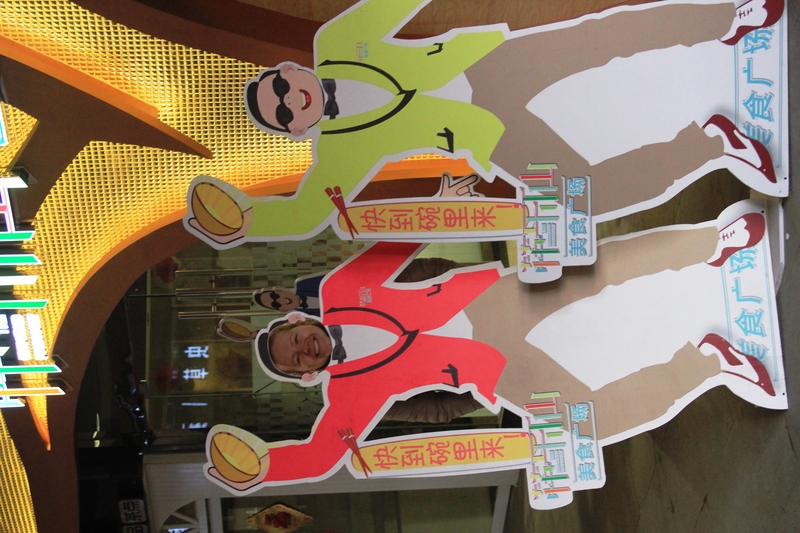 It’s funny how the tacky fake colourful rubbish goes hand in hand with the ancient cultural monuments in China. They seem to love both, but I somehow feel like the tack is a lot more prized by young people these days. It may be simply because they didn’t have that stuff for a long time and now they have too much all of a sudden. I believe it’s a very similar case in Eastern Europe and Russia. Seeing that makes you realise the huge changes China has gone through in such a short time period. 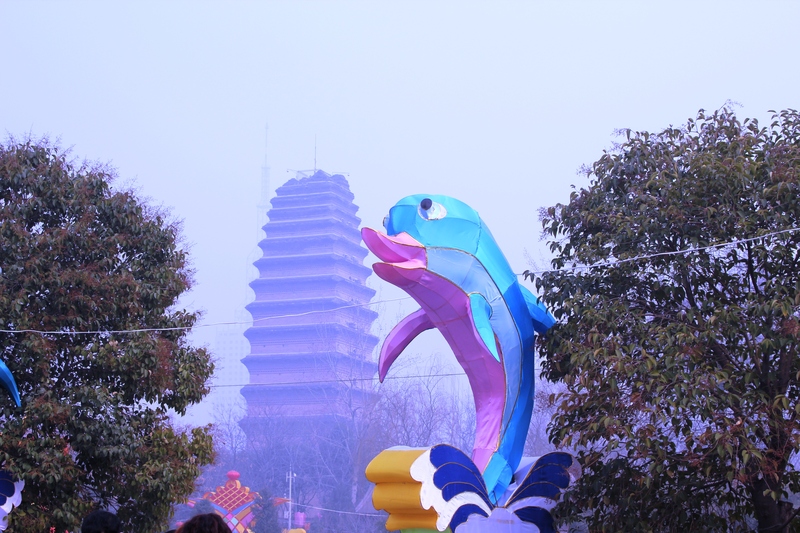 Small Wild Goose Pagoda and a tacky dolphin. 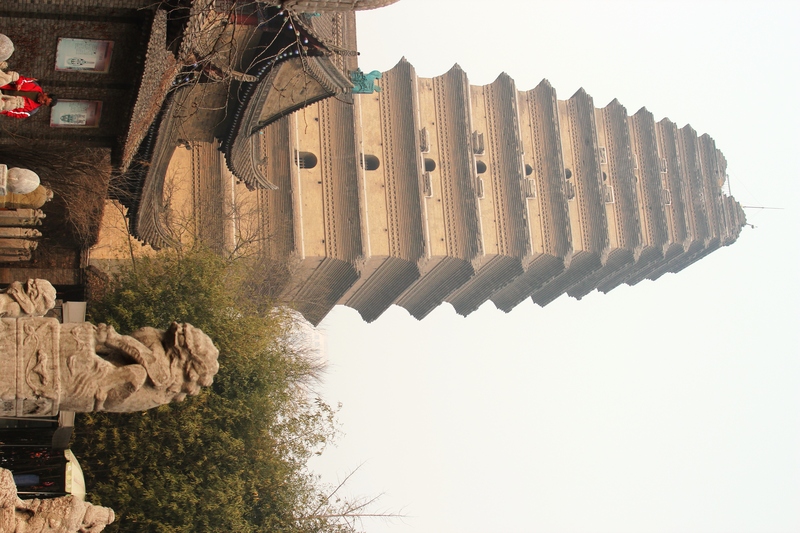 We also visited the Giant Wild Goose Pagoda, which serves the same purpose as the small one, but it’s slightly bigger. The place was filled with Chinese tourists and we had no room to move, so we didn’t go too close to it. We shall do that next time. David and I got a lot of stares. I acquired some more fans and took some photos with them. When they found out I was with David they were quite disappointed. We went to a bar the other day and a Chinese guy started talking to me in Russian. So I spoke to him and he said to me: ‘You are the most beautiful Russian girl I know.’ When I told him I wasn’t Russian, but Estonian he seemed to know what Estonia was, which was a nice change. He had studied at a university in Kiev, Ukraine. 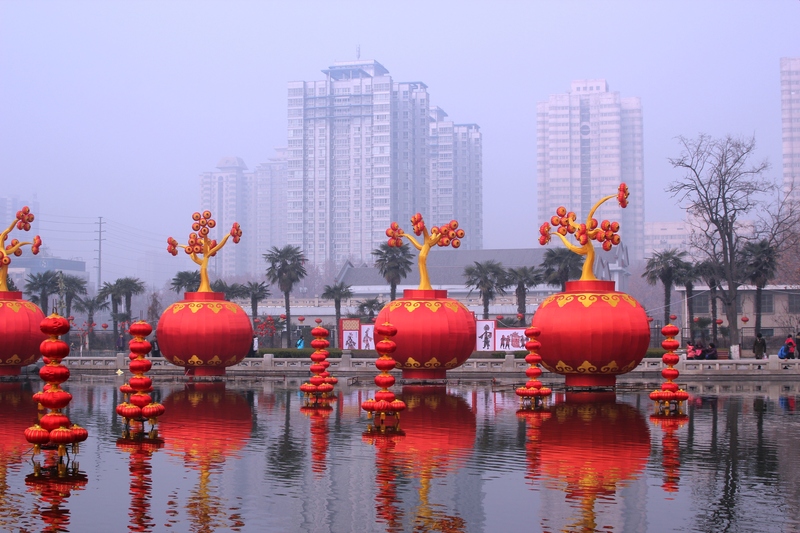 The town is looking really nice with all the lanterns and decorations, but we plan to get out of Xi’an next week as we have the week off. We’re planning to go to the mountains and do some hiking. 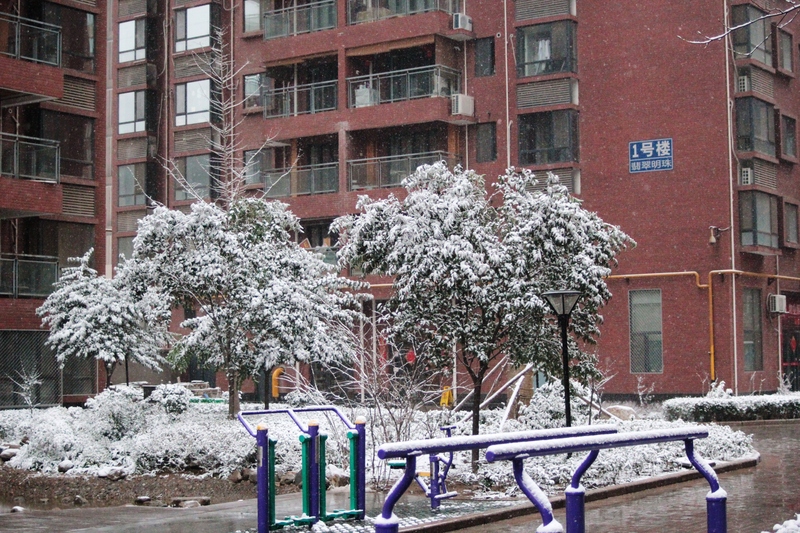 Oh, it snowed the other day! Fireworks are starting again now, back in the war zone. China baffles me, but it’s amazing.